But recently we have seen some advancements in floor ideas with some appealing (and surprising) options coming to the forefront of home interiors. The blonde timber that has led the charge in interiors, hand in hand with the Scandinavian movement of recent years, will start to play second fiddle to much darker and warmer timber floors. While I can still appreciate a good quality light oak timber floor, I personally can’t go past the richness of a dark timber. There is something so warm, elegant and sophisticated about it and the way it transforms a home that is hard to deny. Lighter alternatives are better suited to beach-inspired, more casual spaces. 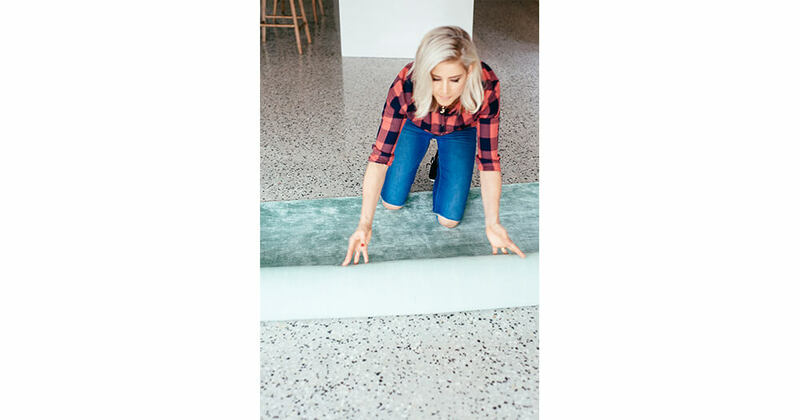 I can personally vouch for concrete floors because we rock polished concrete in our own home - if durability is high on your priority list then this is the floor for you. Our kids ride their scooters through the house without us flinching. We were fortunate to have a concrete slab that once ground back, revealed a beautiful river stone aggregate. If you’re not so lucky as to have an existing slab, you can, of course, have your concrete poured and choose the aggregate you prefer. Another way to enjoy concrete floors is to simply seal the raw concrete with an epoxy coating for a smooth, gloss finish that’s synonymous with commercial spaces. It’s hard to believe, I know - but it’s back. We’re only at the beginning of the cork movement with major flooring retailers still finalising their cork flooring ranges. But keep an eye out, it’s coming. I’m still trying to get my head around the look but I can see it working in a relaxed interior scheme especially one that demonstrates Scandinavian qualities. 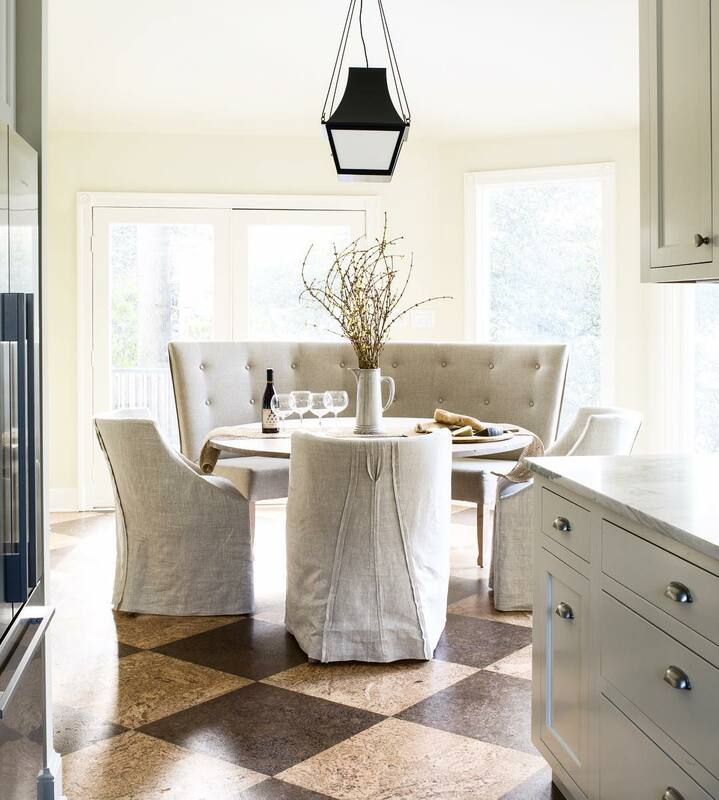 Cork is durable and soft underfoot and this will be a major drawcard for many homeowners. Whilst it’s true that brick flooring is undoubtedly making a comeback, this is a product that rather than being used throughout an entire interior, in fact, works best to zone certain spaces within a home and to add contrast. 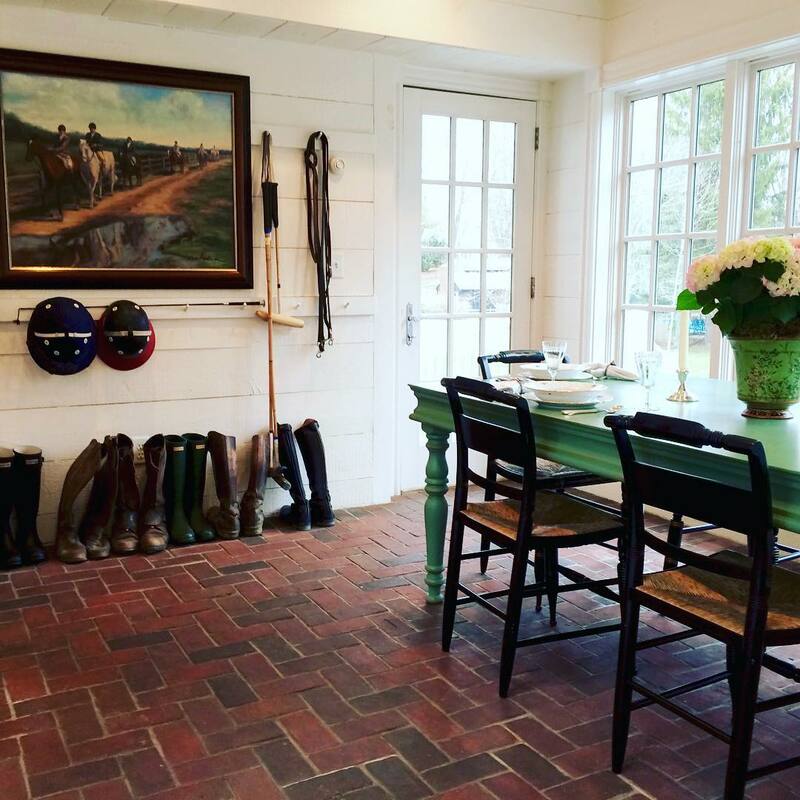 Such spaces include the mudroom, the kitchen, or the terrace. I wouldn’t want to see brick floors in the bedroom because these spaces should always be warm, soft spaces - soft is difficult to achieve with a brick floor. 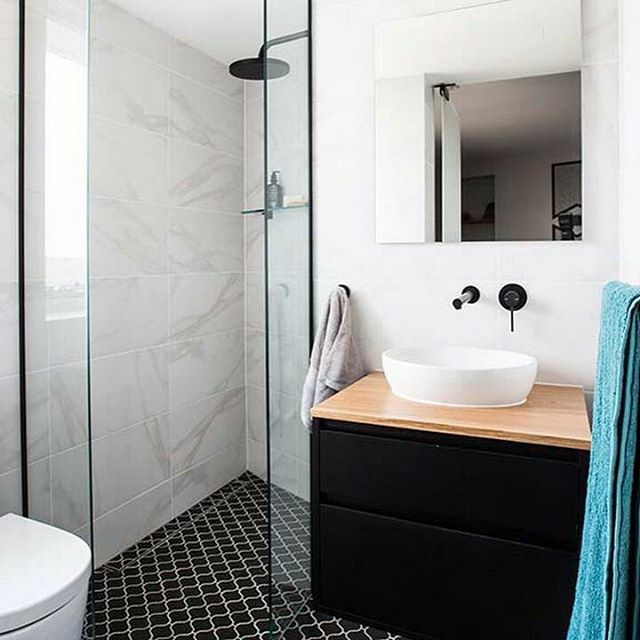 For the most part, the effectiveness of mosaic tiles is pretty specific to wet rooms, such as bathrooms and laundry rooms. In the past, homeowners have gone to great lengths to avoid grout lines on the floor. But done right, grout lines can be both a beautiful design feature and provide a perfect non-slip effect on your floor. It’s all about finding the right tile (and pattern) and the right grout colour. Anything too dark or too light will show dirt so opt for something in between. 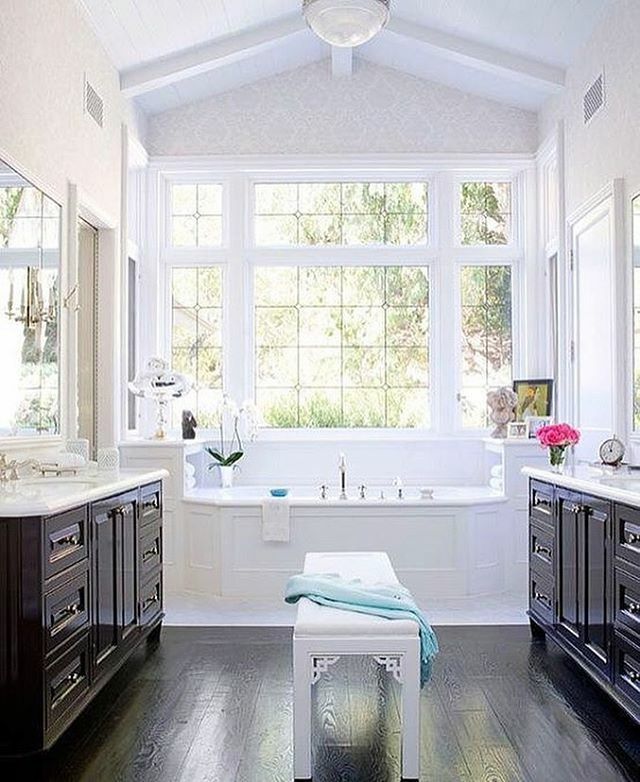 If you want to highlight the pattern of the mosaic, opt for contrasting grout - but I suggest matching the grout to the tiles for a subtle contrast on the floor. Inspired by creative spaces, fabrics, furnishings and design? Learn about how to become an Interior Designer, an Interior Designer's average salary plus the latest industry employment statistics.